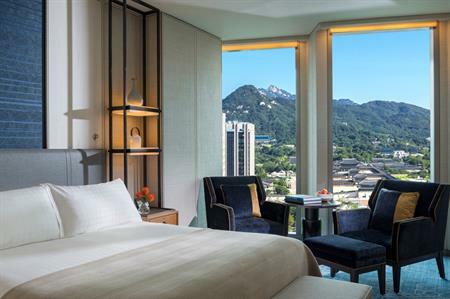 The Four Seasons Hotel Seoul will open in the capital of South Korea this October. The 317-room hotel is located in Seoul’s central business district and offers easy access to major business and diplomatic addresses, as well as historic sites and shopping areas. It is scheduled to open on October 15 2015. The hotel boasts two ballrooms and seven event spaces that can accommodate from ten to 500 delegates. It also offers 25 private rooms in its restaurants and bars and state-of-the-art technology. Guests can utilise 24-hour business services, an executive club lounge and the multi-lingual concierge team. Also onsite is the Four Seasons Club Seoul, which has a 765sqm gym and studio, juice bar, members’ lounge and an indoor golf experience with driving range. A modern Korean sauna will include several bathing areas and zones for quiet relaxation and a spa. Dining facilities include a choice of seven restaurants and bars serving different international cuisines.